I’m Frugal, So Why Can’t I Save More Money? Seems like people sometimes get confused when they’re describing themselves. 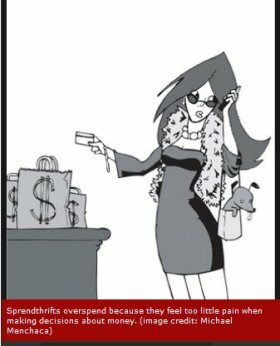 They’ll call themselves frugal when they’re really cheap, or they’ll say they’re practicing some budgeting when in fact, their budget can swallow the whole lingerie section at Macy’s. That’s why I wrote the article on the science behind money attitudes, to clarify the distinctions between the tendencies to be frugal, cheap or extravagant. Have you wondered where you stood in the frugality spectrum? Seeing the scientific analysis backing these results, I’ve begun to question what kind of money handler I actually am. I say this because recently, I’ve found myself shifting from Dr. Jekyll to Mr. Hyde when it comes to money management. 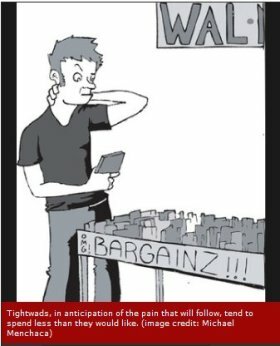 I believe I am a frugal person at the core, but lately, I feel like I’m one prodigal spendthrift. Our expenditures from the last 7 years haven’t been as under control as I’d like them to be. It’s no coincidence that our household spending began to creep up right after our kids were born. This is no excuse, of course, since there are people out there who’ve managed to increase their net worth regardless of additions to their family — take for instance Nickel from Five Cent Nickel, NCN from No Credit Needed and Trent from The Simple Dollar, all of whom have been successfully navigating the financial challenges of parenthood. This doesn’t mean that our net worth has not increased in this span of time — it has, due to well performing investments but no thanks to poorer savings habits. This just means that we could do so much better, if we can only control our spending better. In our case, our spending has increased due to several factors: with kids came a roomier home which demanded more maintenance; then there’s preschool, plus child care services and just general living expenses that have gone up. For a self-proclaimed frugalist, these expenses and the guilt they bring are hard to wrestle with. Dressing fashionably is important to me. No. I often worry that I will run out of money some day. Yes. If I lose a $20 bill, it can spoil my whole day. Yes. Shopping is fun for me. No. How do you typically view shopping? As a chore. I strongly prefer shopping on line rather than in stores. Yes. Quizzes like this reassure me that I haven’t crossed the line to “spendthrift” mode. My cheesy-sounding test results now says I’m an “Unconflicted Consumer”. You’ve got your wily ways, but you’re not wackily withholding. You’re practical, and interested in saving a few pennies but not to the point, say, where you’d risk a trip to the pokey (far as we know, grooming your hair in-store with said store’s unpaid-for products is petty pilfering though we doubt Death Row would be the end result). You also wisely weigh all factors in making monetary decisions i.e., if it saves you a sou or two, is it worth the time, trouble or perhaps loss of your good standing with others? Your final decision may not always be 100 percent on the money but 100 percent is neither a necessary or obtainable goal. You embody an admirable balance between living large and living lean living la vida in-between. I guess I’ll take this. Still, it doesn’t change the fact that I feel I’m spending more than I should these days, especially since I’m seeing how some of you in the blogosphere have set the bar high in terms of your savings rate. I’m going to need to get my act together somehow. This quick check was part of a scientific survey that yielded results showing that 21% of respondents were tightwads, 18% were spendthrifts, and 61% were neither. Copyright © 2007 The Digerati Life. All Rights Reserved. Defining Frugality: What Are Your Saving and Spending Habits Like? I just want to add that our savings rate is not zero, but rather, lower than it used to be. I still try to watch how we spend and try to keep up with the pace of saving I used to have, but it’s tougher. This post just discusses the frustration I have that maybe we’re not doing enough…. Even with more expenses today, it would be great to keep up the savings rate of the past. And that’s the challenge. I might be a tightwad hahahah. I think my wife said it best to me, “we save so that we don’t have to spend”. A lot of people are compelled to spend for some for of pleasure. If they get bored, they need to run somewhere and pick-up a new toy or whatnot. My wife is an obsessive spender for the same reason. She gets gratification out of seeing a large savings and investment account balance and to see our networth grow each month. It’s always great to keep the savings rate as your expenses grow – however it’s only possible if you income grows. Living in Silicon Valley and owning a home, I can imagine why you ask the question of why you can’t save more money. Now if you rented out here, you’d probably see a lot of savings. This is a great post! Thanks for sharing! I’m still trying to learn the balance between being frugal and being cheap, and navigating this whole parenthood thing. I relate to much of your post. Good luck finding your balance! I have felt the same way sooooo many times since my oldest was born, that we could be saving so much more. But my husband always reminds me that we have to strike a reasonable balance between spending money and saving money, and that sometimes (okay, maybe a lot of times since we’ve had kids) spending money is worth the stress it’s saving us. @Everyone, glad to know I’m not the only one who feels this way about expenses growing along with the family! @Lazy Man, actually our mortgage is not an issue as we have a fixed rate locked in at 5% — an incredibly good deal. By renting and with all other things equal, I would actually still be experiencing the same lower savings rates. Our main reason for saving less is due to household maintenance and family related activities that we didn’t have before. True, getting a larger house to accommodate more people will eat up more of the budget. And stuff for kids, especially in Silicon Valley, costs quite a bit. Lots of new parents are stunned when they find out what day care/baby-sitting/preschool costs around here. Hey, thanks for the link-love! As with most single parents, finding the right financial balance can be downright frustrating not to mention depressing at times. You want to budget of course but you don’t want to deprive your child either. Its easy to vacillate between tightwad and frugal and sometimes just spend drift!! Your pie chart is missing the Frugal Consumer. Guys Its not simple age old frugality which saves you money. you have to act smart..
Shop online, Use free coupons, search for online discount.. There is another side to this. Some people (like me) just don’t derive a lot of pleasure from spending money or taking part in costly amusements. Is going to the movies nice? Sure, but so is watching a cheaply rented movie at home where the butter on my popcorn is actually butter. Is going to a restaurant nice? Yes, but I also enjoy learning to cook new recipes. I’m not compromising my life by choosing to opt out during the rest of the week if I go out on Saturday. And when it comes right down to it, it’s kind of a sucky quiz, considering plenty of people don’t go out any day of the week! I just blogged about this post and took the test myself. here are my results (the same as yours was). You’ve got your wily ways, but you’re not wackily withholding. You’re practical, and interested in saving a few pennies — but not to the point, say, where you’d risk a trip to the pokey (far as we know, grooming your hair in-store with said store’s unpaid-for products is petty pilfering — though we doubt Death Row would be the end result). You also wisely weigh all factors in making monetary decisions — i.e., if it saves you a sou or two, is it worth the time, trouble or perhaps loss of your good standing with others? Your final decision may not always be 100 percent on the money — but 100 percent is neither a necessary or obtainable goal. You embody an admirable balance between living large and living lean — living la vida in-between. How To Get The Rebate Checks You Deserve!